I might have celebrated my birthday a little too hard this year, if that’s possible. Not even including Chicago, the fun carried on for over a week and a half, leaving me very full and very broke but very happy indeed. So in the end I am more than fine with saying goodbye to birthday fun until next year, which I think is the best way to see it go. But before the final farewell, a recap or two for your reading pleasure :). 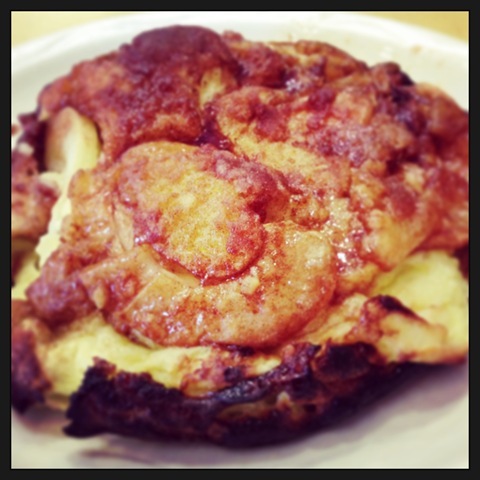 Wednesday was my actual bday, which began with a very delicious apple pancake at The Original Pancake House. It’s one of my all-time favorite breakfast treats, especially with a side of their delicious homemade whipped cream. In case you can’t tell, it. is. massive. It comes to the table in a big puff, which I rushed to capture in a picture before it deflated into a gooey pool of apple cinnamony deliciousness. After my first half marathon, my sister and I attempted to eat a whole one each but even after 13.1 miles it just wasn’t happening. Which is probably okay :). 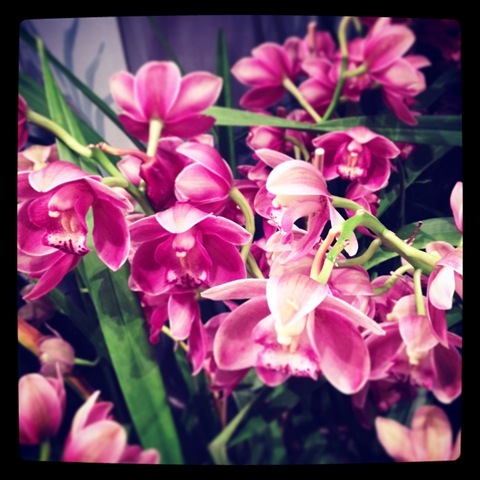 And in the evening, a trip to the Cleveland Botanical Gardens for the Orchids After Dark show. It was absolutely gorgeous. But how could it not be? 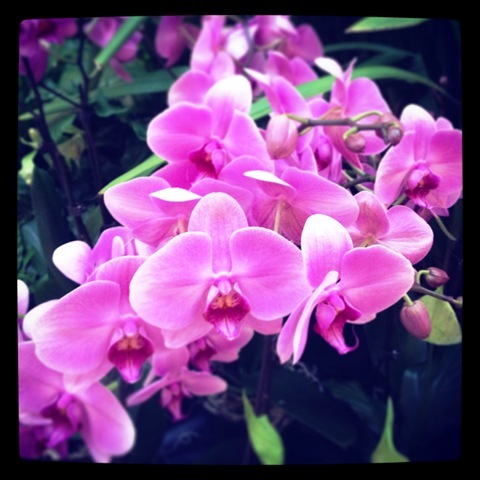 Orchids are just fascinating, no? There were so many to see! It’s just incredible to me that something so intricate and lovely is formed by nature. Plus it’s fun to be in The Botanical Gardens in February, when freezing temps and snow are getting more than tired. The fresh flowers are a little taste of spring (hopefully) coming soon. 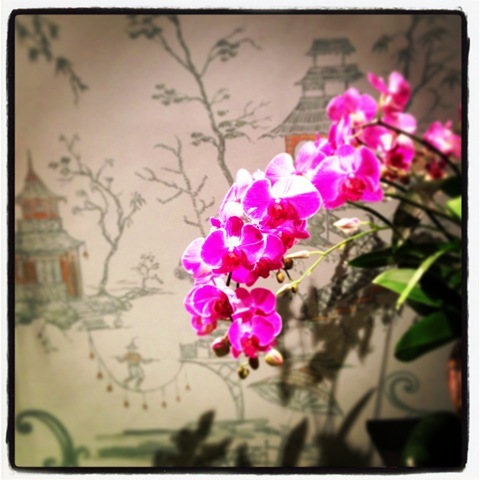 And with all the birthday craziness, it was a delightful reminder to stop running through celebrations and just smell the roses orchids. Especially the chocolate scented ones :). Followed by wine and presents at the lovely Glidden House and finally dinner and coconut butter cake at Sergio’s. It was a delicious day visually, happily and foodily. The next day I left for a weekend in Charlottesville, which I’ll recap next time we meet.